A great twin, complete, deep yellow color and excellent luster and a considerable transparency. Original shape! 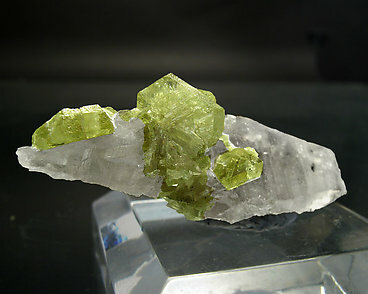 Complete cyclic twin of three interpenetrating crystals (“sixling”). It has deep yellow color and excellent luster and a considerable transparency. An excellent specimen. 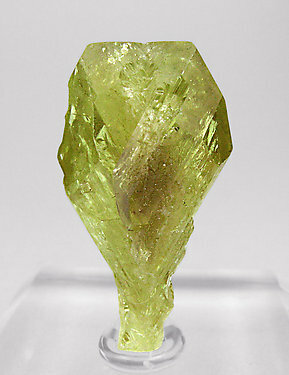 An excellent twin, complete and a floater, of a magnificent transparency, luster and intense and uniform yellow color. An extraordinary piece. 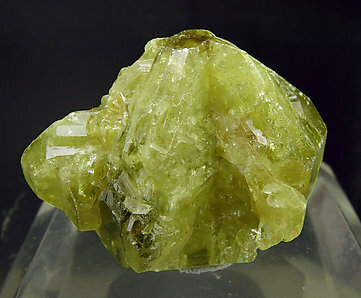 This floating twinned Chrysoberyl, which has well-defined contours, intense yellow color and brilliance, shows an assymmetric growth due probably to formation conditions. The two parts of the twin are well marked by the central joint and fine divergent growth striations. Good size and very original. 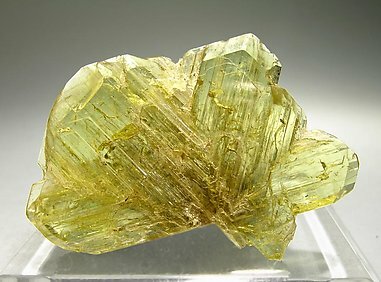 A twin of two crystals, of a good size for the species, of very intense color and luster. 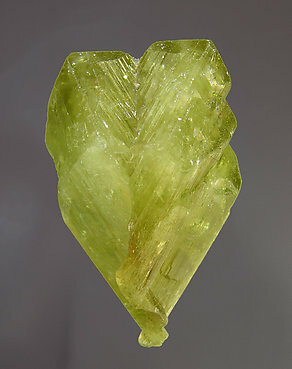 At the bottom, the crystal is thiner and elongated giving its shape a very aerial form. 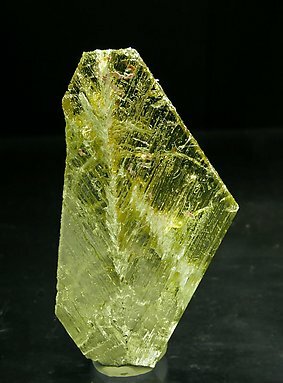 The specimen has some cyclic tabular twins of good color, luster and transparency and, which is very uncommon, they are on Quartz matrix.